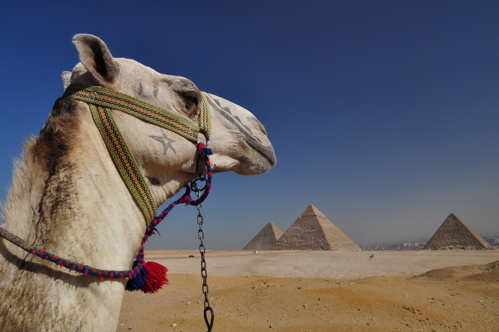 …OK, not ALL of Egypt, but all of the photos from our trip! After many late nights, we have finally worked through the many thousands of photos that Jonathan shot during our two weeks journeying through Cairo, the Nile river valley, and the Sinai peninsula. 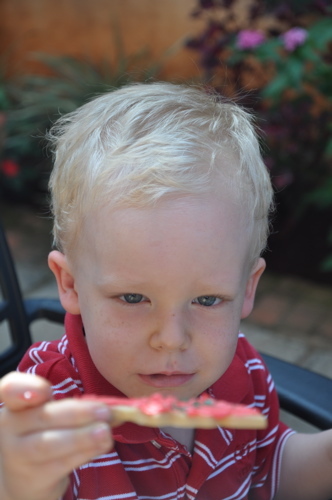 Below are links to albums with highlights from the trip. Our first day in Cairo: the Step Pyramids of Saqqara, and the glorious Khan el Khalili market. Sacred Cairo: On our third and final day in Egypt’s capital, we visited some of the ancient churches, synagogues and mosques. 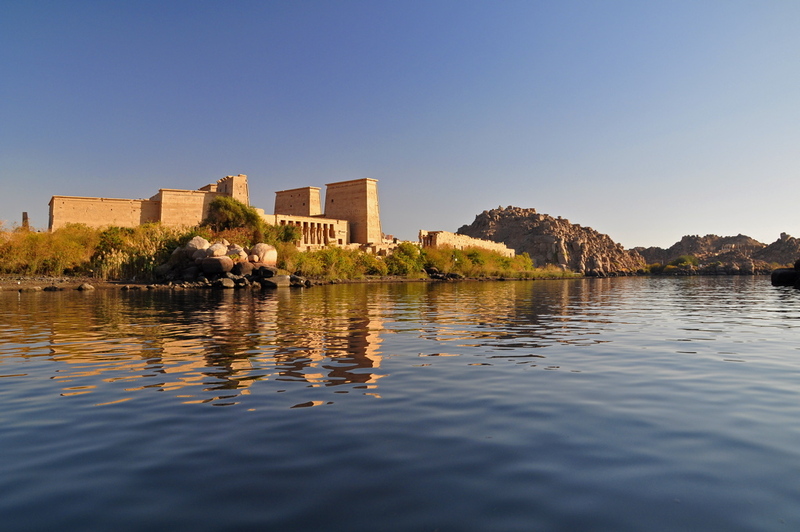 First day on the Nile: Setting sail from Aswan, we visited the mighty High Dam and the Temple of Philae, situated on its own island in the Nile. From Aswan to Luxor by boat: Scenes from our four day cruise from Aswan to Luxor, with stops at the temples of Kom Ombo and Edfu. Luxor Temple at Night: On the third night of our cruise, a wonderful surprise — a nighttime visit to a completely deserted Luxor Temple. 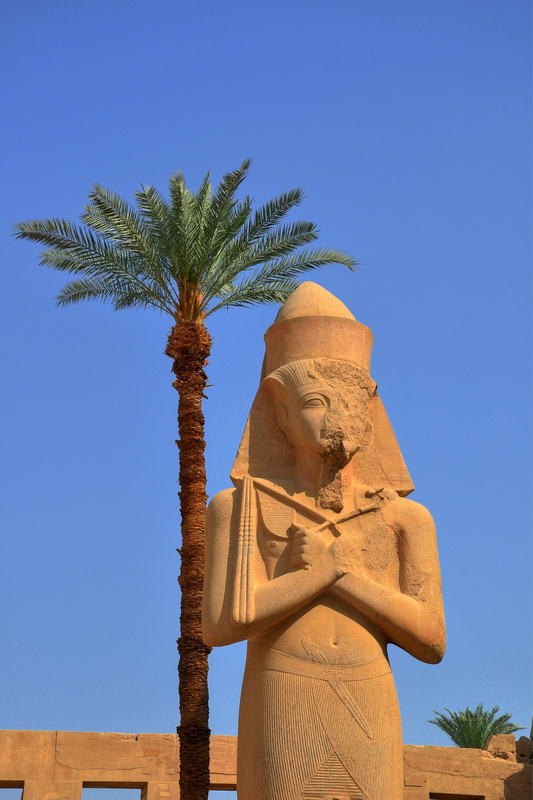 Hot Air Ballooning over Luxor: After a late night touring the temple, we arose early to fly over the Nile river basin by hot air balloon, passing the temple of Queen Hatshepsut and the Valley of the Kings before landing in a sugar cane field. The Temple of Karnak: Photos taken during a quick run through the Temple of Karnak, the largest of its kind in Egypt. 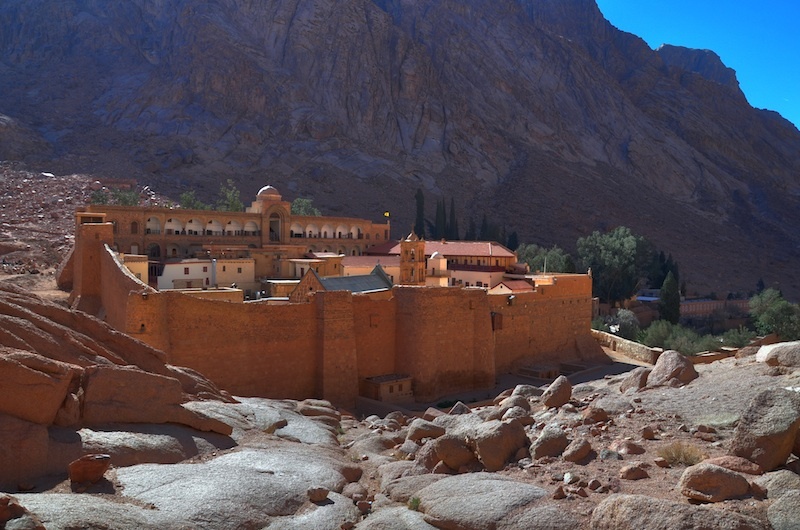 Saint Catherine’s Monastery and Mount Sinai: Last but certainly not least, a visit to the desert fortress monastery of Saint Catherine’s, where the monks still tend what they believe was the burning bush and situated at the base of Mount Sinai where Moses received the Ten Commandments. We have returned safely–though a day late due to a missed connection–from a wonderful two weeks in Egypt. As Jonathan sorts through more than 3,000 photos to create albums of the best shots from our trip, here are some video clips which provide a glimpse into some of the highlights of this trip. Enjoy! Sailing by Felucca on the Nile: Feluccas are small sailboats traditionally used by fishermen to ply the Nile waters. 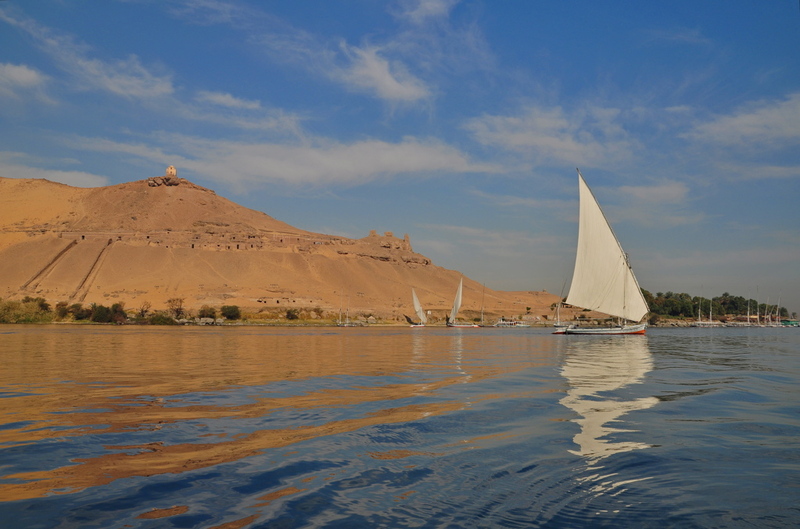 On the second day of our cruise, we spent a very relaxing few hours sailing the Nile in Aswan. Visible from the boat were the Tombs of the Nobles, the lively banks of the river, and Kitchener’s Island which is a botanical garden. Setting Sail from Aswan: The view from the top deck of our cruise boat, the Nile Goddess, as we cast off and set sail from Aswan for Luxor. Docking at Kom Ombo: The boys watch as our boat docks near the temple complex in Kom Ombo. The temple is visible from the river. Street Scenes from Edfu: In Edfu, visitors take a horse-drawn carriage ride from the Nile to the temple complex a few kilometers away. This clip shows some of the activity in the early morning, a glimpse past the tourist sites to what street life in Egypt is like. Dancing on the Nile: The boys dance around and “get the wiggles out” to jazz on the top deck of our boat as the sun sets and the banks of the Nile glide past. Karnak Hypostyle Hall, clips 1 and 2: Two scenes taken while walking through the massive Hypostyle Hall in Karnak Temple, Luxor. The largest hall of its type in the world, it features 134 massive pillars, so large that the archtraves topping each column weigh 70 tons each. Hot Air Ballooning over Luxor and the Valley of the Kings: Two clips taken during our hot air balloon flight over Luxor, the Valley of the Kings, Queen Hatshepsut’s temple and the Nile river basin. The first clip shows the takeoff–with many other balloons lifting into the sky alongside ours. 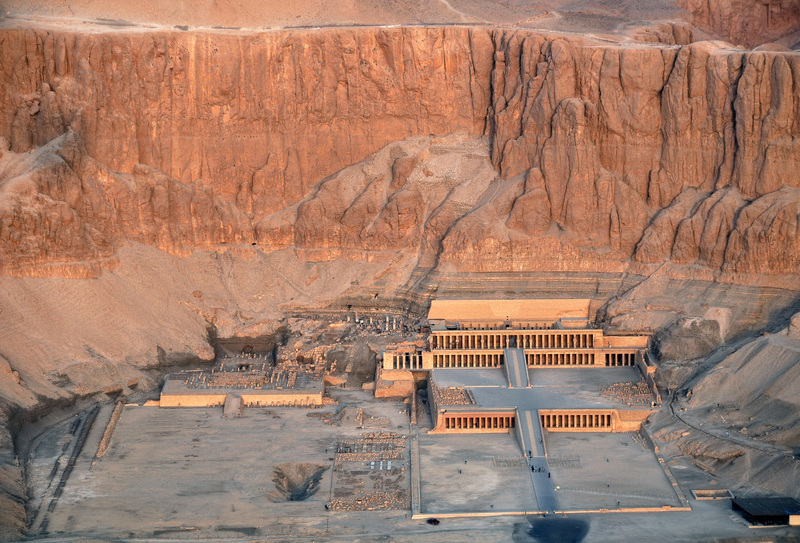 The second clip shows the view from the basket at about 4,000 feet altitude–the Valley of the Kings, a brief glimpse of Hatshepsut’s Temple, Luxor and the Nile valley. Reef Submarine in Sharm el Sheikh: The boys take in the abundant fish and coral from the windows of our semi-submersible boat tour of the Red Sea reefs around Sharm el Sheikh at the south tip of the Sinai Peninsula. 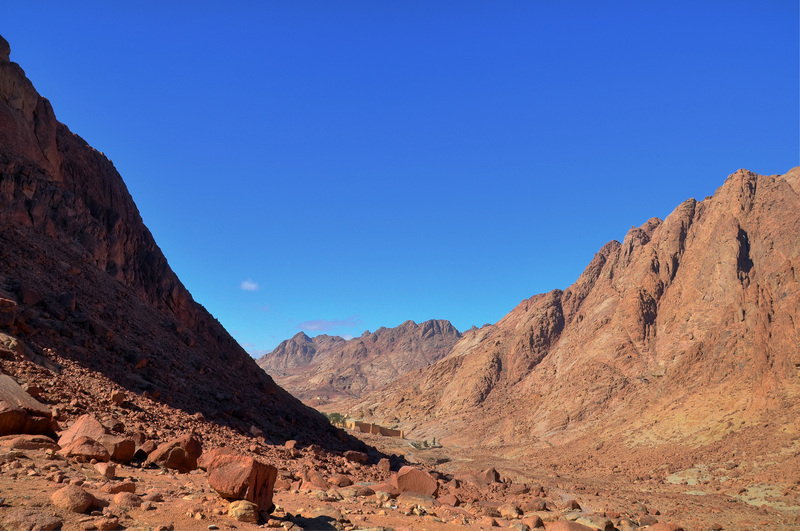 Trekking by Camel at Mount Sinai and Saint Catherine’s Monastery: Descending on camels from the base of Mount Sinai and working our way down towards the third century fortress monastery of Saint Catherines, in the remote Sinai desert. According to Biblical history, Mount Sinai was the location from which Moses received the Ten Commandments, and Saint Catherine’s is built around a bush that according to legend was the burning bush from which God spoke to Moses, commanding him to go to Pharaoh and demand the freedom of the Israelite nation. On the third day of our trip, we explored the back alleys and historic churches of Old Cairo, then headed to the Citadel of Salah al Din and the Mosque of Muhammed ali Pasha. For photos of day 3, click here. After a sleepless overnight on a “sleeper train,” we arrived groggy and unwashed in Aswan to begin our Nile cruise. Fortunately, we found our cruise boat to be far more comfortable than the train! After a nap, we headed out to see the unfinished Obelisk, the Aswan High Dam, and finally the glorious Philae Temple. A late arrival at the temple meant there were no other visitors and warm evening light, a photographer’s dream! For photos of day 4, click here. 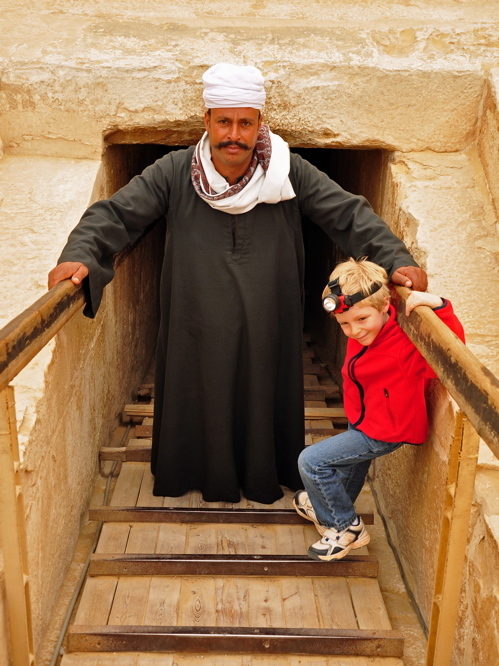 Our first two days in Cairo have been amazing…on our first day we explored the first step pyramid of Djoser, descended into the hieroglyphic decorated burial chamber in in the Pyramid of Titi, and dined among date palms at the edge of the desert. Today we explored the great Pyramids of Giza, crouched our way in to find the sarcophagus in Chephren’s pyramid, rode camels (while Laurie galloped by on a horse), and pondered the Sphinx. This afternoon we wandered through the rich Pharaonic artifacts in the Cairo museum, and marveled at King Tut’s 24 pound solid gold mask. Our first stop - the Pyramids! 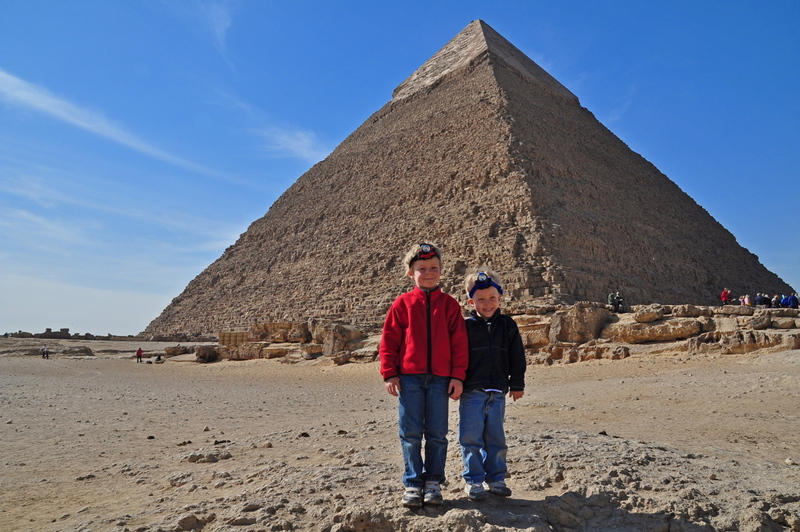 The Howard family is in the midst of packing our bags for a much anticipated adventure — two weeks in Egypt! Jonathan’s parents, sister, and a few friends will be joining us as we explore the land of the Pharaohs and journey to Biblical sites. Our first stop will be Cairo, where we will explore the early step pyramids of Saqqara, the magnificent Giza Pyramids, ancient Coptic churches and monasteries, the Citadel of Salah-al-Din, and the Khan-el-Khalili souk. 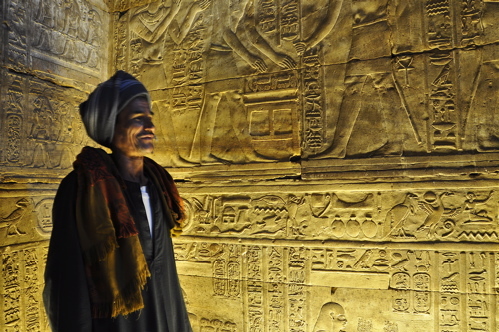 After an overnight train to Aswan, we will join a four day Nile cruise, a mobile base from which to visit the temples of Philae, Kom Ombo, and the Temple of Horus at Edfu. 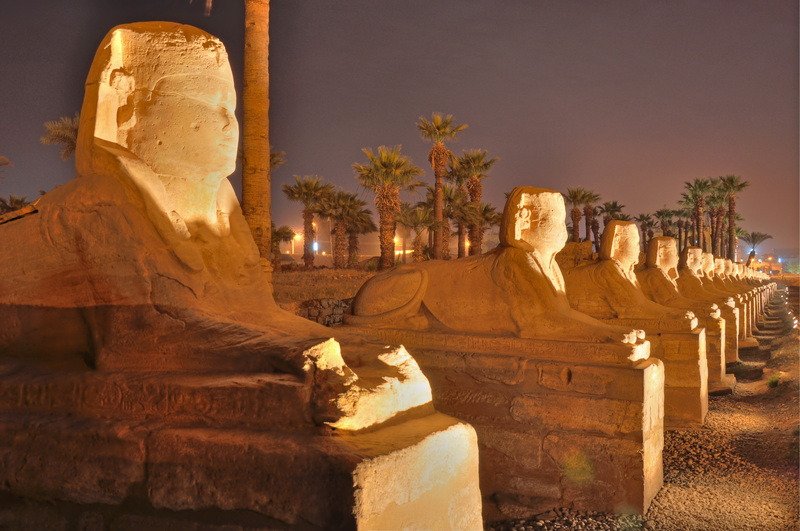 The cruise ends in Luxor, the ancient city of Thebes, home to the spectacular Luxor and Karnak temples and the illuminated tombs of the Valley of the Kings and Queens. We will conclude our time on the nile with a hot air balloon flight over Luxor. Last stop: Sharm el Sheikh, to relax and unwind at a resort on the Red Sea. 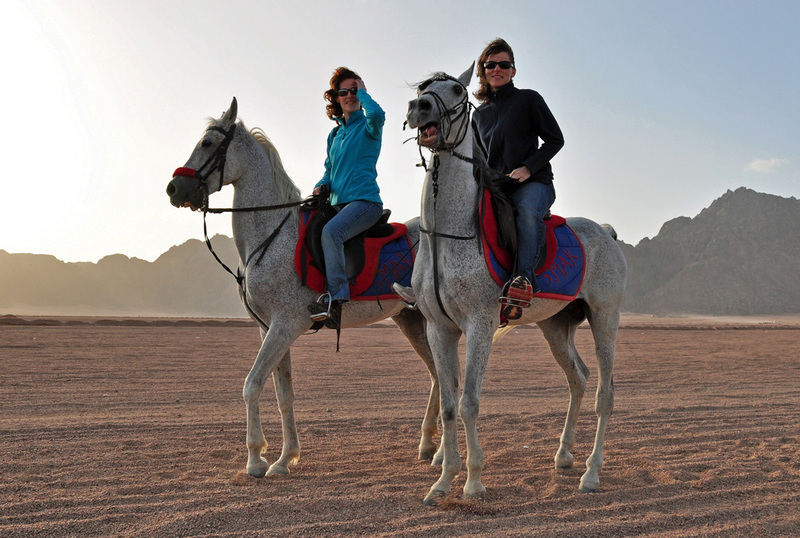 After a few days of snorkeling and family time, we will head up into the mountains to visit St. Catherine’s Monastery, the legendary site of Moses’ Burning Bush, and will take a camel caravan up to the peak of Mt. Sinai. To the degree we have internet access, we will be posting photos and stories along the way, so check back soon for updates! 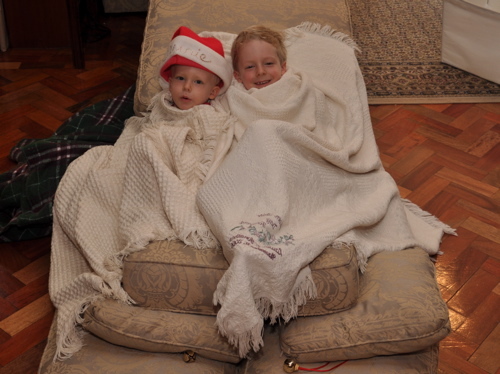 As friends and family in Virginia are experiencing a historic snowfall, below freezing weather, fires in the hearth and Santas in every store, we have been preparing for our second Christmas in Nairobi amidst warm weather and a touch of rain. 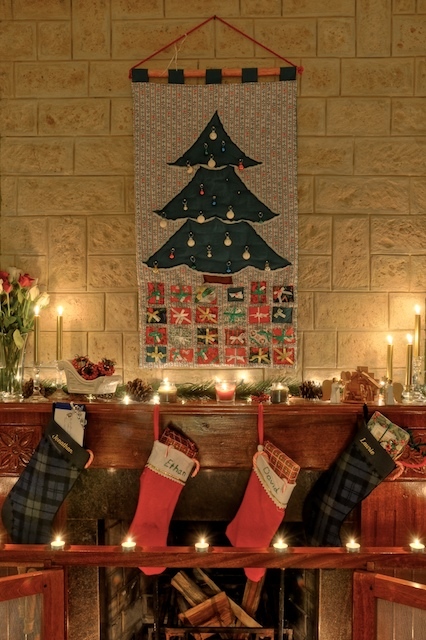 With the sun and 80 degree weather, it can be a bit difficult to convince ourselves that we are in the midst of the Advent season, so the day after Thanksgiving we brought in the Christmas boxes from the garage and put up our tree, hung stockings on the mantle, and trimmed the windows with greenery. It is still a bit odd to hear carols about snowmen, but after a day of family decorating at least our house looked the part! Christmas is a time of feasting and gathering as a community to celebrate Christ’s birth, and yet each day we are reminded that we live in a country where many struggle to eat even one meal a day. Our church and the Embassy collect food and toys for needy children each December, and Ethan’s cub scout pack hosted a “Kids-2-Kids” event. 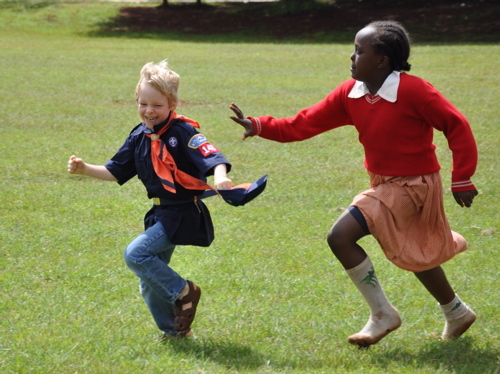 The scouts hosted children from a Nairobi orphanage for a morning of football (the Kenyans showed off their vastly superior soccer skills!) and duck-duck-goose followed by a snack and a donation of food and sports equipment to the orphanage. The morning was a wonderful time for both the scouts and their guests to build new relationships and grow in appreciation for each other. For the past two months, Ethan has come home from school singing snatches of unfamiliar tunes, and relating his classes’ preparations for a grand performance. 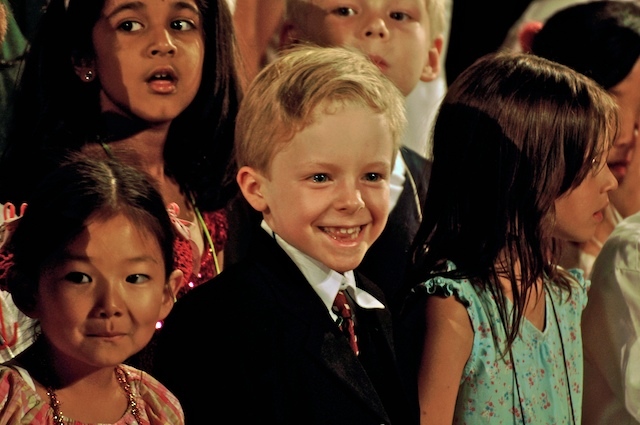 On December 11 the practicing paid off as the Rosslyn elementary school put on a Christmas musical, “The First Leon” a humorous interpretation of a young boy’s attempts to understand the meaning of Christmas. Ethan dressed for the performance in his Christmas suit, as well as cool shades for one of the numbers (see the video below!). 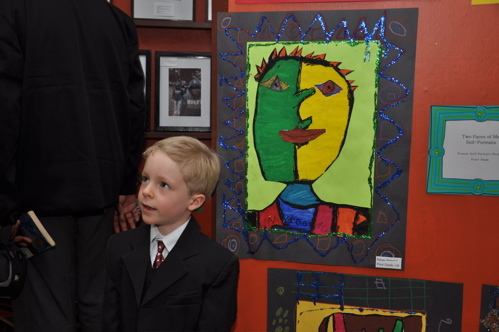 Ethan’s self portrait from art class, in the style of Picasso, was also selected for an exhibition following the pageant. 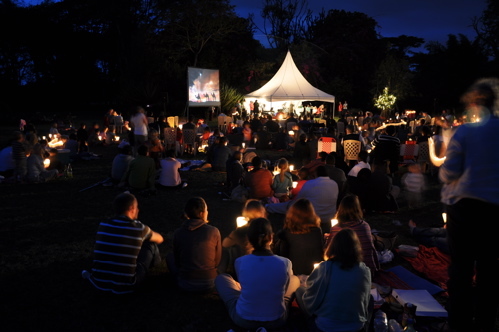 Last week our church gathered on the lawn at Karen Blixen’s house (the author of “Out of Africa”) for carols under the stars. 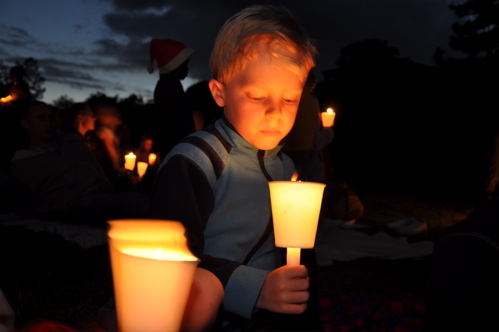 As the sun slid below the Ngong hills, we lit candles and raised our voices to sing of the Advent in the African night. 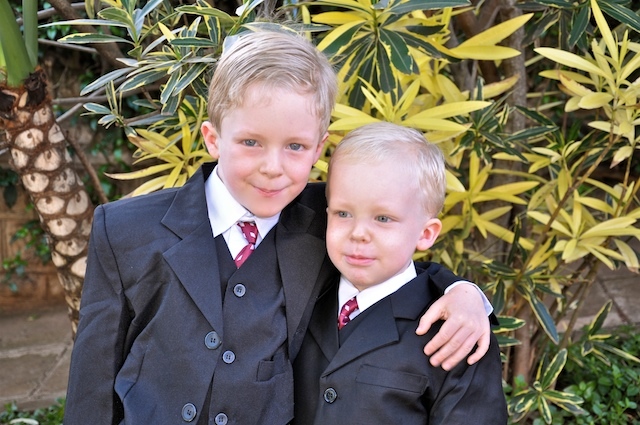 In addition to Christmas-themed events, the boys have enjoyed playing together for many long hours as Ethan is out of school for the holidays. They daily build forts and castles, and even “sleds”! The boys on their "Sled"
those who dwelt in the land of darkness, on them has light shined. For unto us a Child is born, and unto us a Son is given! On November 11, we celebrated 9 years of marriage. From a proposal in Switzerland, to our marriage in the UVA chapel, through the birth of our children and finally a move to Kenya, we have had a wonderful journey together as husband and wife for nearly a decade! On our anniversary, we had a special dinner together with the boys to celebrate this milestone. 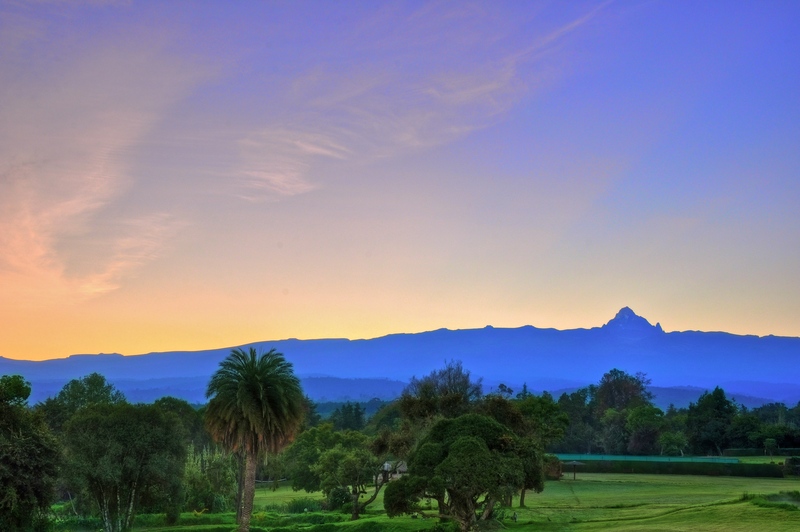 The following weekend, we packed our bags for a parents-only weekend at the Mount Kenya Safari Club. 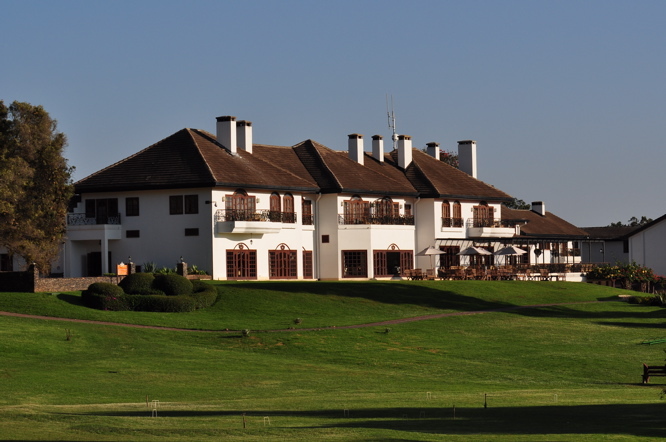 Founded by film star William Holden in 1959, the club is situated on a private reserve at the base of Mt. Kenya and just a 3 hour drive from Nairobi. 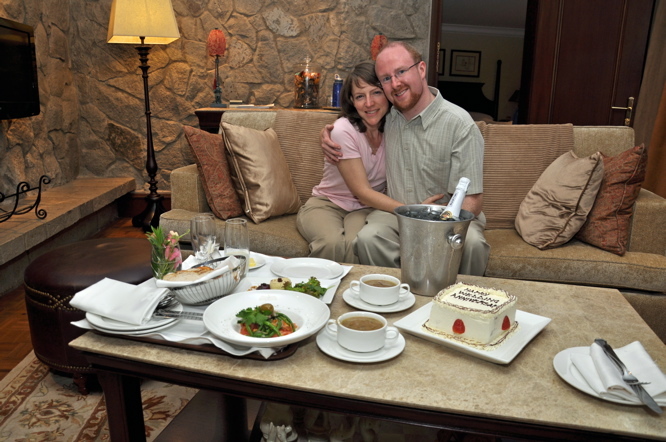 When we arrived, we were surprised to find that we had been given our own private cottage for the weekend. The cottage was a perfect retreat–we enjoyed breakfast in bed and a sumptuous anniversary dinner before a blazing hearth, with stunning views of Mt. Kenya from our patio. Though it was hard to be away from the boys, spending time as a couple again was wonderfully refreshing as we took long walks, explored the grounds, and lingered over meals. 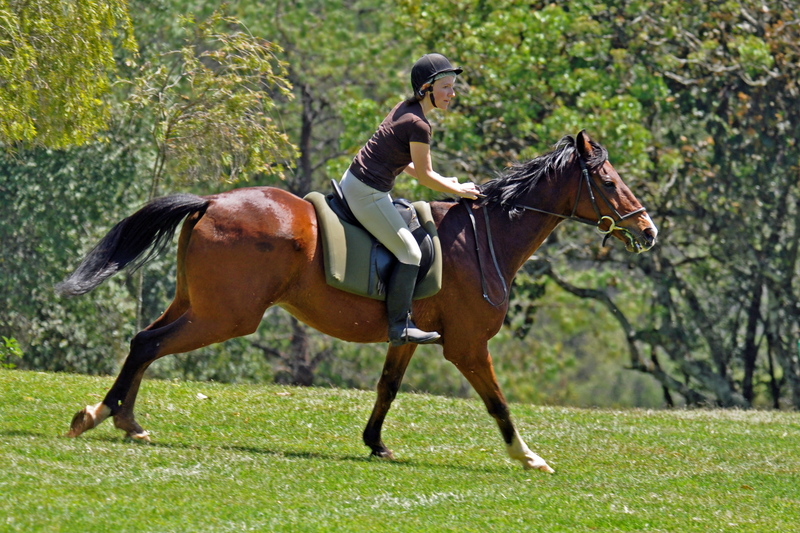 Laurie was able to indulge her passion for horseback riding as she took two trail rides up the slopes of Mt. Kenya and chased zebra at full gallop through high alpine meadows. 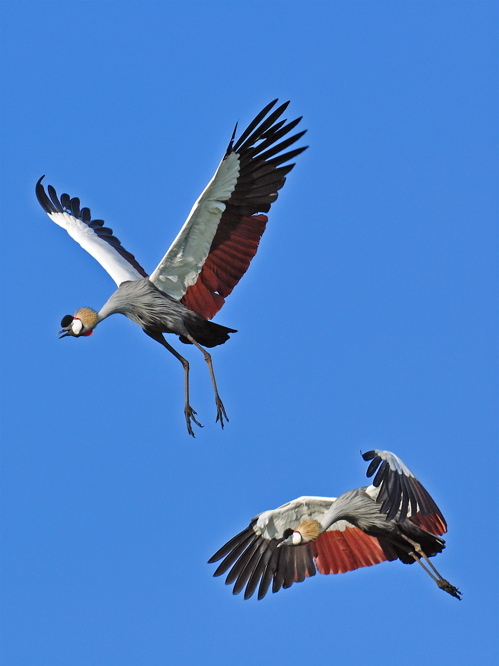 Jonathan rose before dawn both mornings to photograph the sunrise and then capture the abundant bird life on film. After three wonderful days, it was time to head back to Nairobi, but not before resolving to bring Ethan and David back to explore this incredible part of Kenya. For more photos of the Mt. 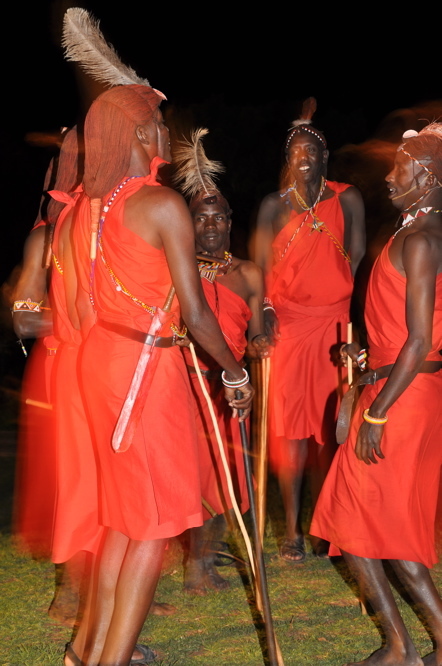 Kenya Safari Club, please click here. To read Jonathan’s review of our stay on Tripadvisor, click here.